Cell phone accessories in India: cell phone accessories from bluetooth headsets and cell phone batteries to iphone cases and cell phone mounts, the cell phone accessories you're looking for are available with cell phone accessories store locator, retailer shops, dealers shops, find from our wide selection of cell phone chargers in India, memory cards in India, cell phone car kits in India and cell phone headphones and speakers in India. 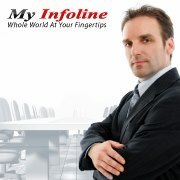 Myinfoline has a variety of cell phone protectors, clips, cell phone batteries in India, noise-cancelling headsets in India, docking stations and much more in India. Find store locator, retailer shops locator, dealers shops, cell phone accessories yellopages in India, cell phone accessories business directory in India, whether you're shopping for hands-free communication or checking out the latest iphone accessories and cell phone chargers,. You’ll find what you want, including headsets from apple, blackberry, lg, nokia, palm and samsung. Find cell phone accessories dealers in India phone numbers, addresses, map, email id, my offers, see ratings & reviews of cell phone accessories in India, for best search of cell phone accessories in India. Submit your enquiries and get price quotes and deals to instantly!